You searched for which does not fit your . We've redirected you to 166-2340, which has the proper fitment. Klock Werks Matte Werks 16 oz. Description for Klock Werks Matte Werks 16 oz. 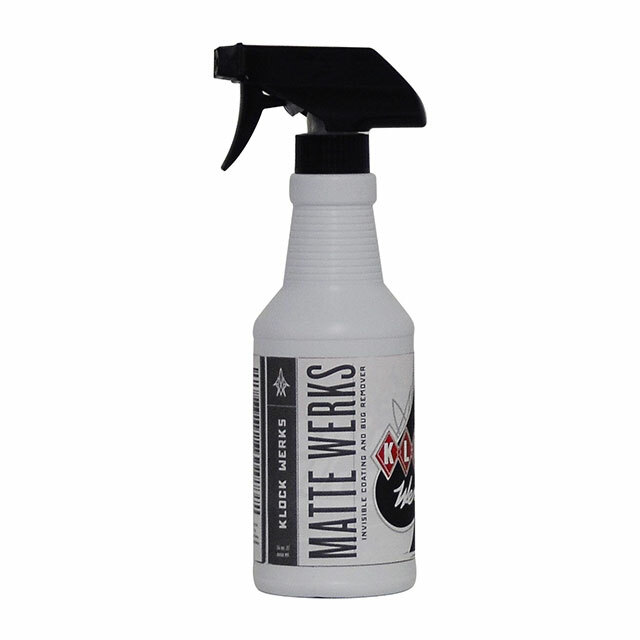 • Formulated to clean and protect matte and satin paint finishes. • Proprietary mixture of polymers that will clean away bugs and grime, and repel dirt, dust, fingerprints and smudges, all without adding gloss or greasiness. Product Specs for Klock Werks Matte Werks 16 oz. Customer Reviews for Klock Werks Matte Werks 16 oz.